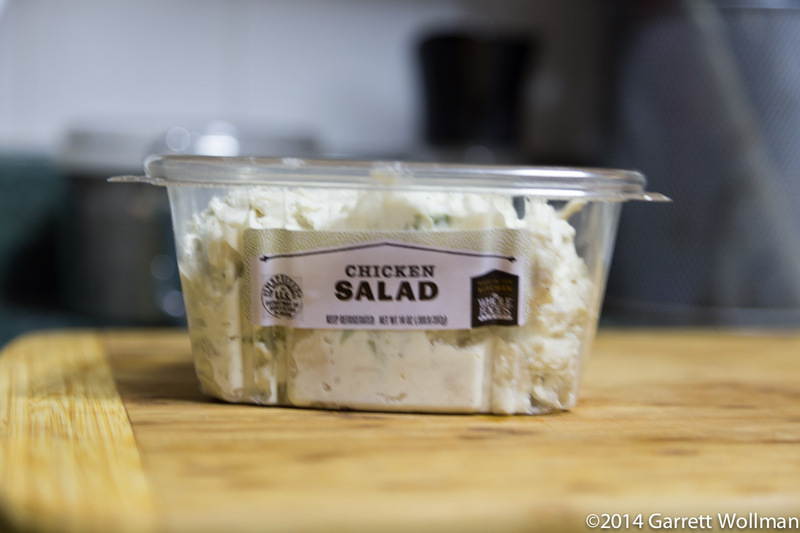 I often by prepared chicken salad at Whole Foods. The taste and quality are pretty reasonable, and the cost is not horrible compared to the effort required to actually make it myself (cooking chicken breast, chopping vegetables, etc.). 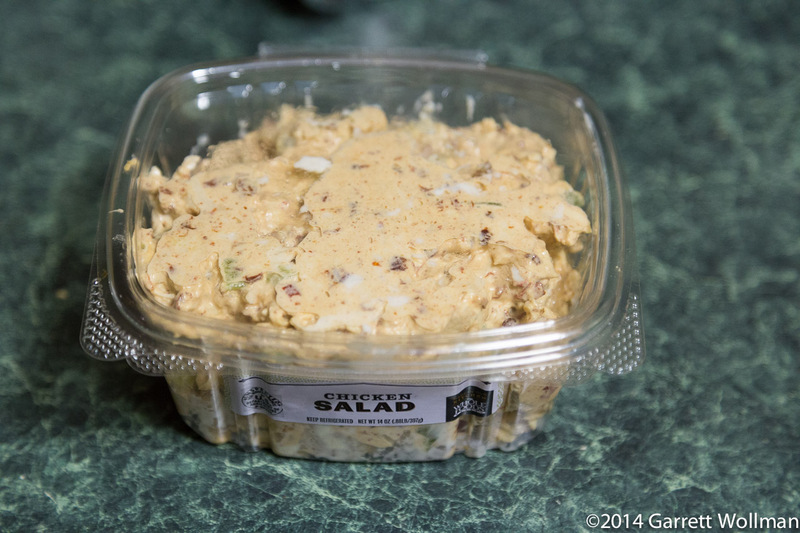 But although their chicken salad is reasonably well seasoned (some customers probably think it’s too salty, in fact), I often find myself wanting something a bit spicier. From time to time they sell a “spicy” or “buffalo” chicken salad in the prepared foods department, but it always costs significantly more than the plain chicken salad, and I’m not going to pay $1 extra for the privilege of having someone else mix hot sauce into my chicken salad, just out of general cussedness if for no other reason. 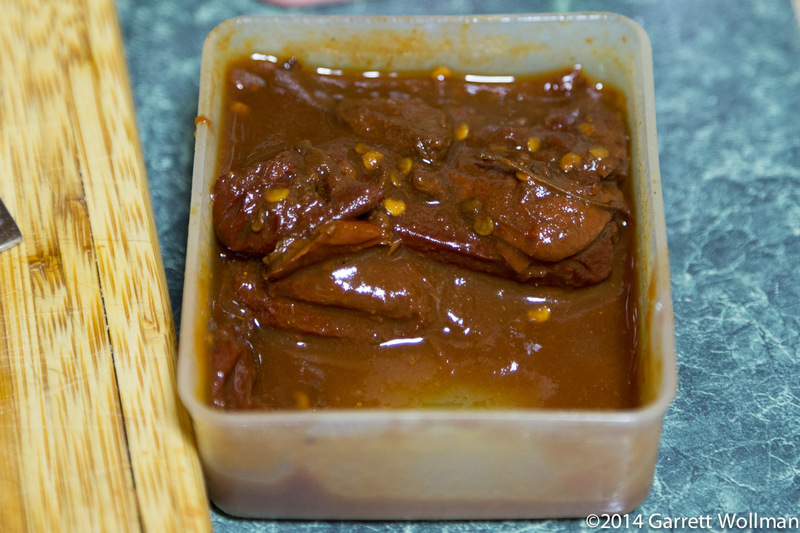 I happened to have three fourths of a can of chipotles en adobo left over from another recipe, which I had frozen. 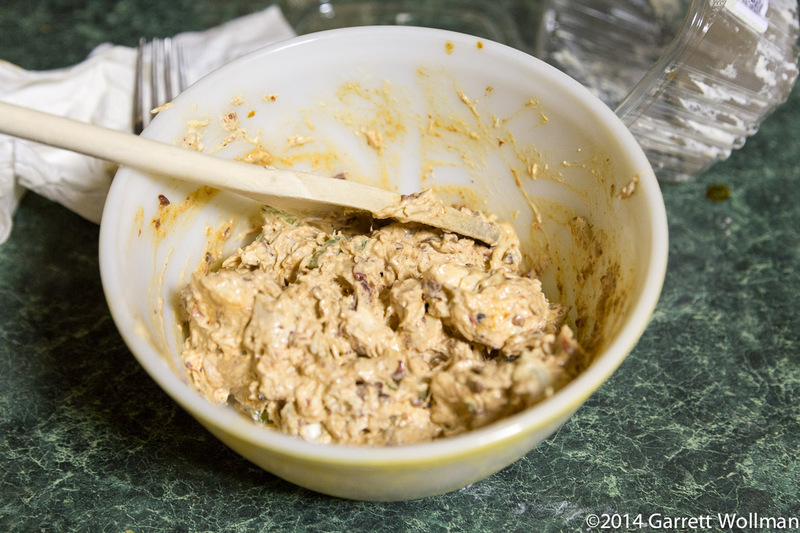 This entry was posted in Food and tagged chicken, chile, chipotle, meat, recipe, Whole Foods. Bookmark the permalink. What a simple way to spice up a premade dish! I love chipotle bbq so I am sure I would love this too. Maybe even as a side at a BBQ. Thanks so much for sharing your idea!